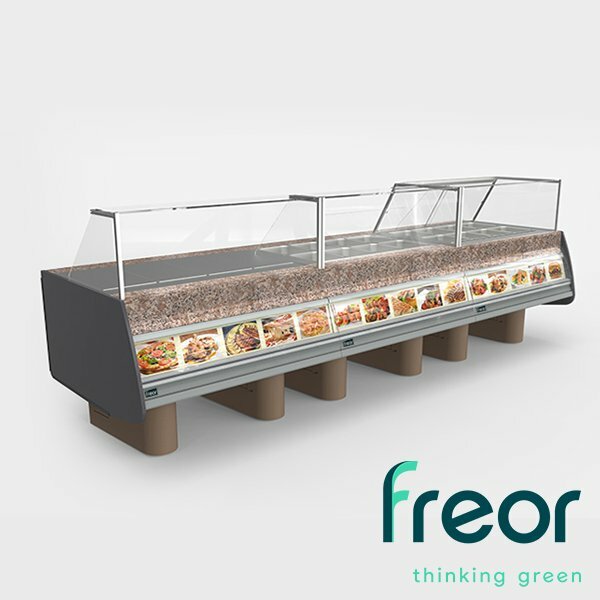 Whether you operate a fast food restaurant, supermarket or hypermarket, Diona Bistro provides all the features and performance needed every day in a heated display counter. It is great for the appetizing display of various ready-to-eat cooked dishes. It features overhead lighting which is used for both maintaining heating temperature and lighting. Steam tables are used to keep main dishes and sauces warm. Automatic control system or filling of water. Overhead lighting is used for both maintaining heating temperature and lighting. Pans heated by thermal plates. Integrated automatic temperature control. The system shelf with the front glass is 450 mm in height. Pan is 400-600 mm in diameter. Thermal plates are designed to keep main dishes and sauces warm.